Don’t trip and fall down the rabbit hole. 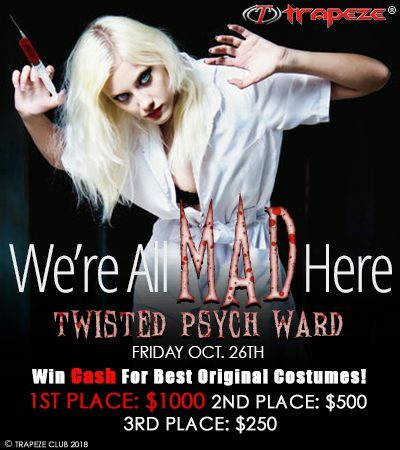 You’ll find the most twisted bunch of crazies this club has seen. Are the doctor’s running the asylum, or the patients? The only way to find out is to come join the fun. Pad your pockets tonight with our cash prizes, awarded before the end of the evening. Make sure you know our costume contest rules before you enter. Winners will be announced at midnight.